Praised by number of clients, we are providing a high quality Moisturizer Flip Top Cap that is reasonably priced and delivered in recommended time frame. 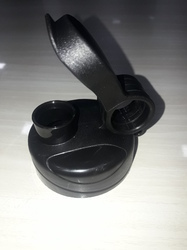 By making optimum utilization of our installed machines and equipments, we are engaged in providing our clients with a quality approved range of Flip Top Caps. Shree Packaging company is extremely involved in offering a comprehensive array of Designer Aluminium Cap. These products are available in various sizes and shapes as per the requirement of our clients. 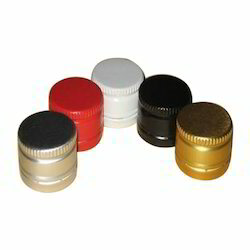 We are a prominent company, presenting an exclusive range of Freeze Bottle Cap. With the help of our workers, these products are delivered to our customers on due time period. To ensure that these are in accordance with the international quality standards, we check these caps on well defined parameters. Our organization has gain lots of popularity in the market creating world class array of Aluminium ROPP Cap. They are rust free, handy and very light weighted.